How do I delete an employee when they leave our agency? This article is meant to assist you with deleting a User ID and Inactivating a Staff Profile when an employee leaves your agency. 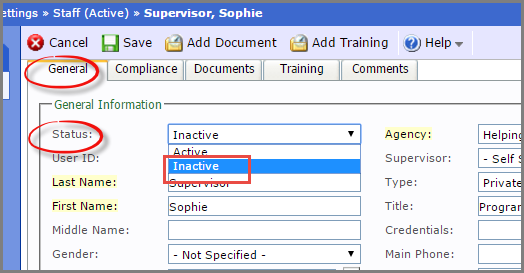 Mark their Staff Profile as Inactive. 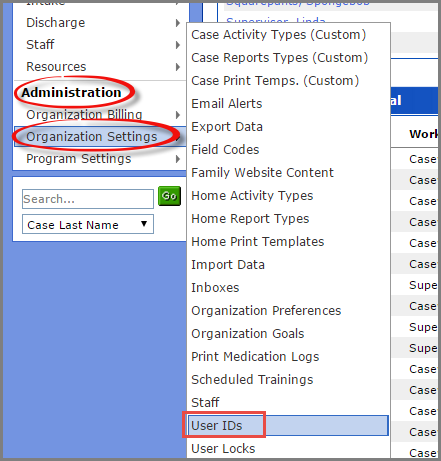 You must be an Agency Administrator to access “Organization Settings” under “Administration” on the left side of your Workspace. 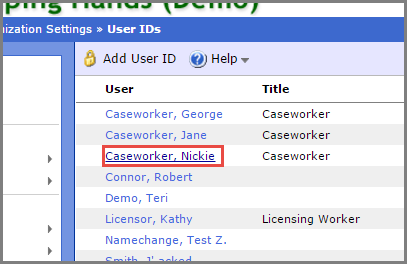 The first step to removing system access from an employee when they leave your agency is to Delete the User ID. This will completely shut the employee out of the system. 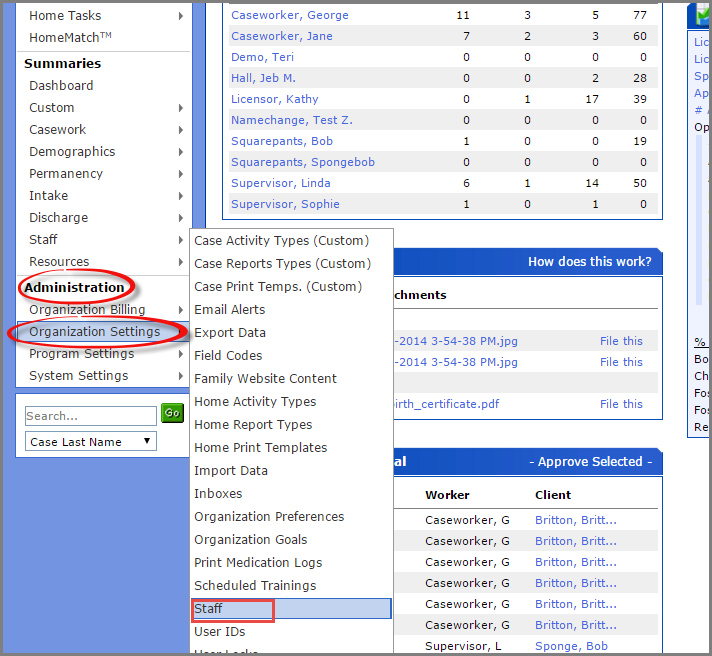 Within Organization Settings, click on “User IDs”. Next, click on the blue hyperlink that contains the worker’s name. From the top of the menu bar, click on “Delete” and “OK”. 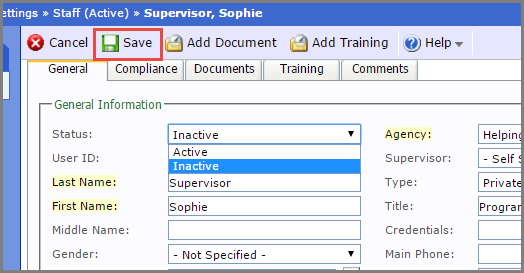 The second step in the process of removing system access from an employee who leaves your agency is to “Inactivate” the Staff Profile. 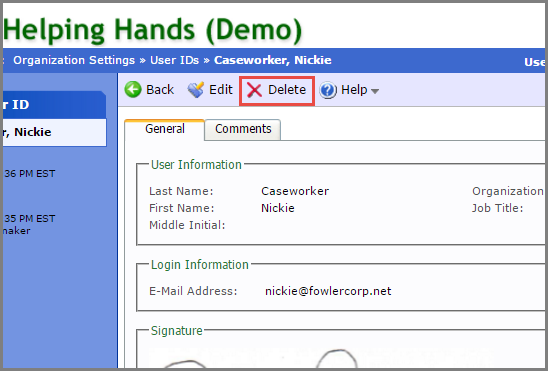 By inactivating the Staff Profile, the employee’s work will be stored in the system for auditing and tracking purposes, however their name will no longer appear in drop-down menu options for approvals, etc within cases or homes. Under ‘“Organization Settings’” select “Staff”. Click on the blue hyperlink for the staff who is no longer at your agency. Under the General tab, click on “Status”. Select “Inactive” from the drop down menu.